The Lord went before us and provided a way for the kids to go to camp this week. He started preparing for it last fall! In September! My friend bid was at our school’s auction, bid on two free weeks of camp, and won! In January, friend finds out she is moving away the same day we lose our job. It turns out the only week her family can get the timeshare at the destination they want is the only week of camp that they could attend. Friend gives two free weeks of camp to us. WOW. God knew MONTHS before us that we would be blessed this way; He actually knew before all time began. Crazy to think He cares that much for our family. 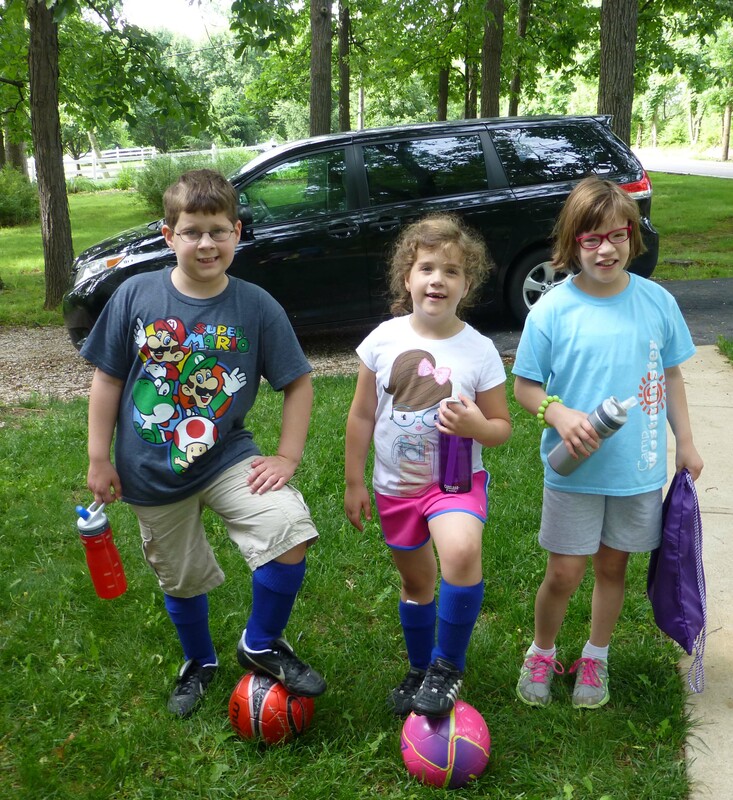 . . Two soccer camps and once dance camp . . . they all had a blast on their first day!! A mother’s side note: I stayed home to take the kiddos to camp and was so thankful for that freedom. 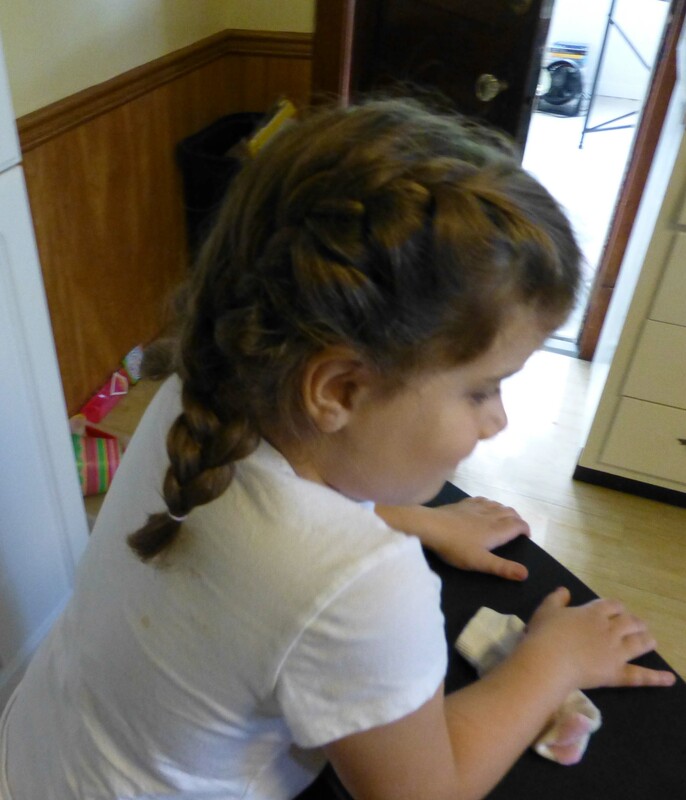 I even got to try my hand at a french braid: Not bad for a first try, if I do say so myself. It also made me a little sad. I wasn’t there to pick them up and hear the details and that was a first. (I’m working more hours this summer so that I can be full time and have benefits for the family till the Lord provides Jeremy with a job.) The kids were fine, of course, but please pray for this mommy. I feel like I am missing stuff. Nice job on the French braid! Hope everyone is enjoying their week at camp! So glad they got to go!